The Garden Club is the largest group within the Gascogne Ladies Club, with over sixty members; although all do not participate on a regular monthly basis. Meetings are on the First Thursday of the month, usually in the afternoon unless a visit to a Garden is planned. For more information about our next meeting and venue, please contact our secretary on lunchclubgascogne@gmail.com or have a look at our blog. We will be delighted to hear your suggestions for garden visits. Please let us know if you have ideas and if you would host one of the meetings of the garden group. If you would like to join the Garden Club, please email lunchclubgascogne@gmail.com or click here. March is the first month of Spring when we all start to think about getting out in the garden again and making it even more beautiful. With this in mind we have decided to go to the Jardinerie d’Embaloge in Mirande for our first garden visit of 2019. Many of you will already know this excellent large garden centre which has a wide range of plants, fruit trees, roses, ornamental trees etc with many varieties not easily found elsewhere and there will be plenty of inspiration for all of our gardens. A person will be present to answer questions on various things about gardening and the plants they have on sale. Tea and Cake will be served afterwards. There may be a small charge for their services. Our next outing takes place on Thursday 5th July. 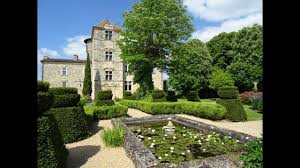 We are delighted that Mme Martine Neeser Philippi has agreed to open her lovely garden in Estang to the LLC garden group. This garden was open for the Rendezvous aux Jardins 2017. We were lucky enough to have a rare opportunity to visit the lovely private garden of Alex Constantine at his home called ‘Perron’ near Moncrabeau on Thursday 7th June. This is a landscaped, park-like setting reminiscent of the gardens of “Capability Brown”. There is also a parterre in front of the house, many roses and specimen trees with an attractive pool area and fine views. For our next outing on Thursday 10th May 2018 we will be visiting the Iriseraie de Papon in Laplume which is located on the D931 between Condom and Agen. 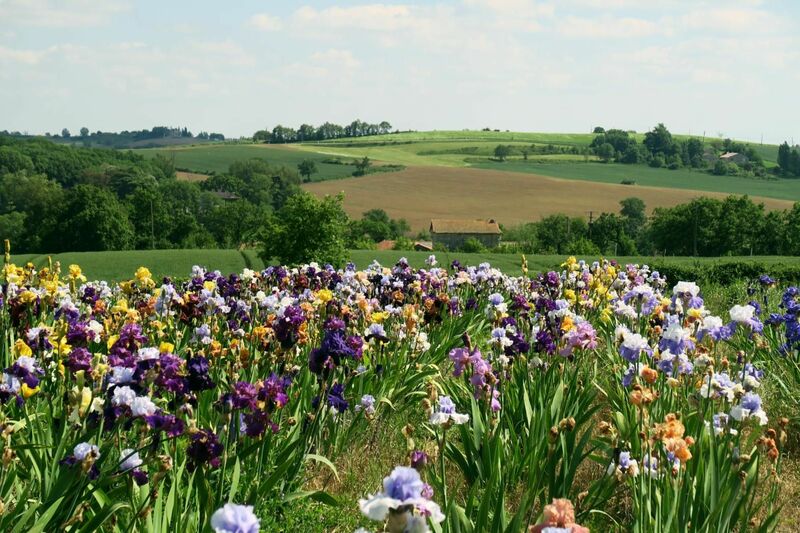 Spread over 3 hectares with approximately 4000 different varieties of Iris collected over the last 25 years – this should be a colourful visit ! Please note that we have had to move forward our next garden outing to Thursday 26th April due to the fact that they are closed until the 23rd April and we apologise for any inconvenience. We are visiting the Château de Fréchou situated in Lot et Garonne in a small village between Nérac and Condom. This is a small, privately owned historic property with beautiful gardens and authentic interior. The first garden group outing of 2018 got off to a great start. The weather was glorious and we had a good turnout with 27 members attending. Alain Dumont and Christian Lorbat were our hosts in Averon Bergelle. 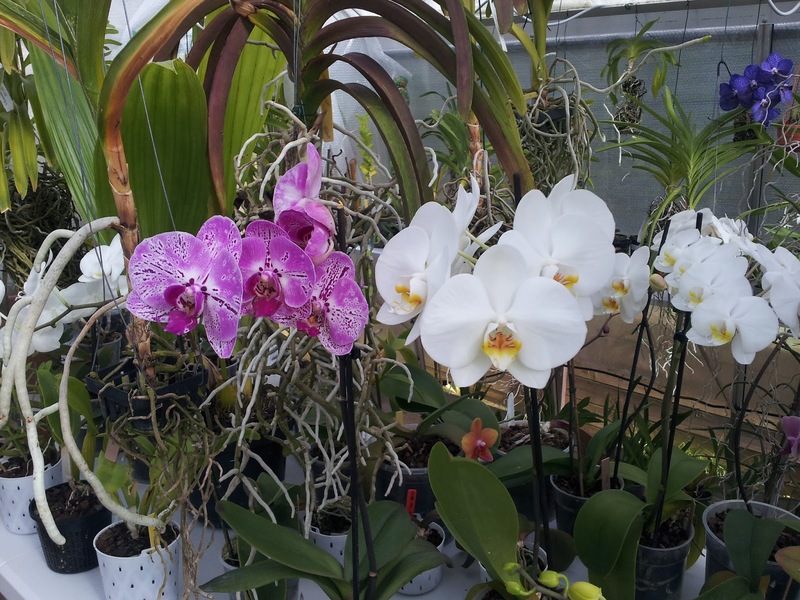 Alain is an expert orchid grower and is very knowledgeable on the subject, growing a large variety of orchids from seed in his greenhouse. The afternoon started with a talk by Alain on his passion for these beautiful plants which began while he was still living in an apartment in Brussels. The rapidly increasing orchid collection eventually threatened to take over the apartment and Alain and Christian decided to make the move to the Gers !